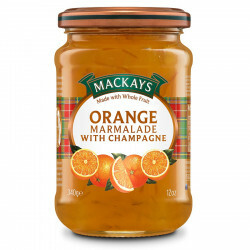 Mackays adds to the traditional orange marmalade recipe a touch of originality: champagne. An original and unexpected combination! 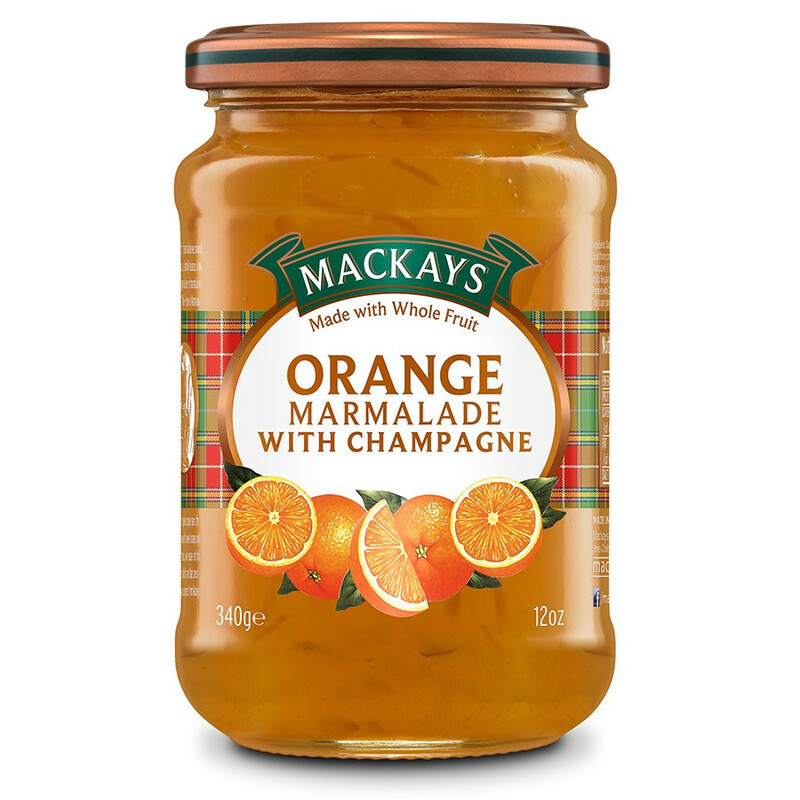 Mackays has reworked the traditional orange marmalade and added a Champagne zing. A bold recipe for a stand-out delight. Mackays is a family company that has been manufacturing world-renowned marmalades and preserves for 70 years. It is thus the last producer of orange marmalade from Dundee, Scotland. Mackays is also one of the last manufacturers of jams in Europe to boil jams in open kettles, a traditional method which imparting its jams and marmalades a delicious flavour of yesteryear. Ingredients: sugar, Spanish sweet oranges, lemon juice (from concentrate), Champagne (0,7%), gelling agent (fruit pectin), marc de champagne (0,3%), acidity regulator (citric acid). 25g of fruits for 100g. Total sugar: 65g for 100g. Best before: see date on lid.